Arriving into the small airport of Dehradun via Delhi, I was greeted by my personal driver and taken straight into an air-conditioned 4x4 for the short 45-minute journey up the mountain towards Ananda. The journey itself was an experience, from seeing monkeys, cows, and goats up the windy uphill roads and a more impressive view at every turn. Ananda means peace - and my seven day stay was a purifying experience of just that. On my arrival I was very warmly greeted and given a rudraksha by the staff around my neck to sanctify my mind, body and soul. My excitement grew and even after an overnight flight I felt revived from the visually wonderful surroundings and pleasant scents. 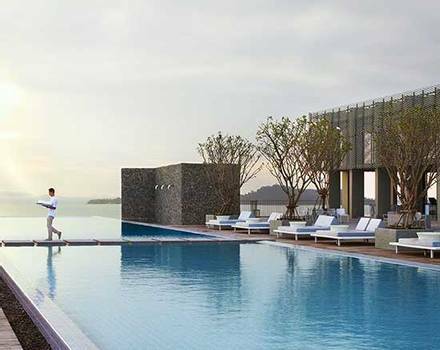 I was given my schedule for my Yoga Detox program from the choice of different wellness programs and a short introduction to the rest of my stay before settling into my Palace View room. Ananda in the Himalayas has won many prestigious awards, including Best Spa in the World. 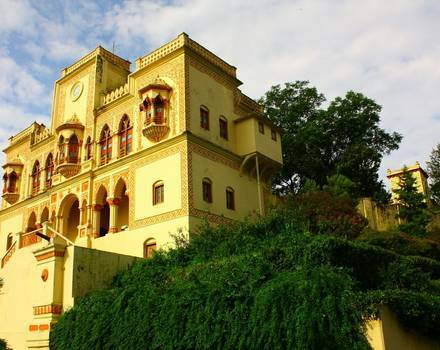 Situated at almost the very top of the mountainous area at the foot of the Himalayas, Ananda overlooks Rishikesh from a breath-taking vantage point over a kilometre high. 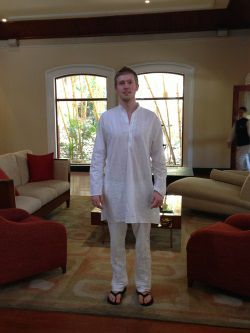 Kurta Pyjamas are provided as an option of clothing to be worn as and when you please, including at mealtimes and daily classes. The traditional cotton outfit made up of trousers and an over-hanging and long-sleeved top was very comfortable to wear every day - I wish I hadn't packed so many clothes! With well over 200 staff to maintain and provide the outstanding services, all the staff from the gatesmen to the therapists were very warming and attentive, but in no way overpowering, with a gentle 'Namaskar' from everyone. Ananda is superb for a solo friendly holiday, with other single travellers on wellness programs during my stay. Being adult-only, the grounds and atmosphere of Ananda are very tranquil and are enhanced by the green surroundings of trees, bamboos, and plants with even a meandering resident peacock- see if you can catch a glimpse of it displaying its feathers. Ananda as a spa holiday destination is one of the best. The treatments themselves and the rooms they're held in are of the highest quality and have a great attention to detail. Therapists would explain the treatments and answer all my questions - all were chosen for their areas of expertise. My Ayurvedic and Wellness Consultation with the Ayurvedic doctor asked me a number of questions to find out which of the three doshas I was; pitta, vata and kapha, I was Pitta. The Ayurvedic concept describes these 3 doshas as fundamental of which the body is made of from fire, water, earth, air and space. Based on these recommendations they offer help with specific food types and treatments that can be better suited to you as an individual. The Ananda menu complements this by displaying some drinks and foods and the doshas they represent. My favourite treatment in the program was called the 'Ananda Fusion' - a tailored 85 minute treatment that combined a variety of international spa experiences based on yours and the therapist's opinion for what would suit you - it was truly unforgettable. Another was the Rose Quartz Facial using crystals and the balancing of my chakras; an enlightening and relaxing experience. As well as the private yoga lessons in my Yoga Detox program, I made the most of the highly skilled local yoga teachers of which there are between 4 and 5 all year around at Ananda who teach two daily yoga classes in the mornings; Hatha Yoga for beginners and one for intermediates. Among these classes there are between 1 and 2 daily Vedanta classes - these comprise of educational talks on the science of life on a wide range of topics that change daily. The Ego and How to Deal With it; Dynamics of the Mind; Facets of Emotion; and Law of Karma - these are all examples of what's taught in these classes. Other group classes include: daily stretch, body workout, meditation and cooking classes. I highly recommend the special 3 hour hike which takes place to the Kunjapuri Temple twice a week - a holy shrine dedicated to the Goddess Sati. It's a gentle walk past a few local houses that took us to the top of the local peak with spectacular 360 degree views. My visit to India would not have been complete without an excursion visiting the nearby Rishikesh, a short 30 minute drive to the town where a very auspicious Hindu ritual called the Ganga Aarti in which prayers are offered to God. Alongside this I recommend and took a short tour by one of the guides into Rishikesh to see the local markets and ashrams to get a close sense of the culture. For longer stays, two other popular one-day excursions include White Water Rafting and a trip to the Mindrolling Nyingmapa Monastery. Accommodation at Ananda comprises of 78 rooms, all of which are spacious and superbly maintained and clean throughout. I stayed in a Palace View room on the fourth floor and I was delighted. The Palace, Valley and Premium Valley rooms are all identical except for the views. If you enjoy spending time in your room, I recommend the Premium Valley over the Valley, otherwise as all these rooms are the same - you'll enjoy the same amenities throughout. What I loved about Ananda was the closeness of all the main facilities, from the spa, restaurant, heated swimming pool and gym to the accommodation (view map of resort here). 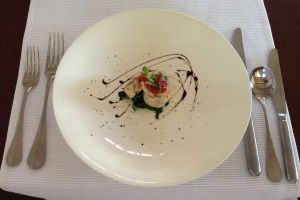 At the heart of the Ananda experience was the cuisine served from the restaurant. The food was absolutely delicious and with enough variety, you'll never get tired of the menu. Each dish, even if it's a starter or breakfast, was prepared to the highest standard with an abundance of flavour - I was impressed so much I would say it's simply among the best food I have ever come across. 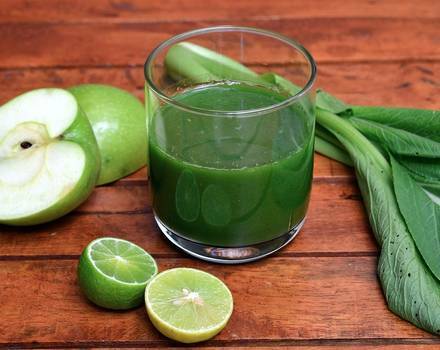 A 3-course menu is available for all meals with calorie counts for each option, ideal for clients on a detox holiday, who want delicious but healthy food. With options to dine in the main restaurant, the stunning outdoor tree top deck, pavilion, or specially requested poolside, palace tea lounge, or winter garden, the dining experiences at Ananda are excellent. Freshly squeezed orange, apple, pineapple, pomegranate, cucumber and watermelon are always available, and I recommend the jasmine and pure freshness of the signature ginger lemon tea! Yoga is at the heart of Ananda's group classes making it ideal for a luxury yoga holiday. My yoga teachers Niranjan and Archana were very professional and friendly and knew yoga inside-out. In my private classes (see yoga video of me here) I learned many things about the philosophy of yoga and the traditional approaches of different asanas and sequencesI had questions about. Private yoga classes outside were very popular, so I recommend booking these early if the weather's pleasant. Group yoga classes take place at a stunning theatre-like setting and private yoga classes are in the private spa rooms, yoga pavilion, theatre or second yoga pavilion. The gym is well-equipped, with free-weights and a good selection of resistance machines. Located adjacent to the spa and pool it's ideally located and offers easy access to the changing rooms where the hydrotherapy facilities are including sauna, steam room and plunge pool. My favourite place in the spa was the elegant and tranquil resting room with a valley view, the perfect place I found to recline after a treatment with a small cup of freshly-made herbal tea. 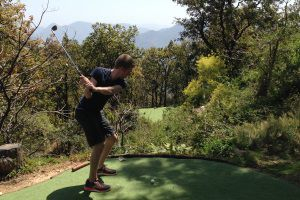 I recommend a few places to visit on the grounds of Ananda: the yoga pavilion is a special place to visit; catch a beautiful sunset from a sunset point; and if you play any golf, the beautiful and challenging 6-hole par 3 golf course is something not to miss. All-in-all Ananda is a unique and special place perfect for a spa, yoga or Ayurvedic holiday in a nature-entwined luxurious setting. But what elevated its superiority was the kindness and warm-hearted nature of all the staff in making my stay something I'll remember forever. If you have the opportunity to visit a world-class destination spa, Ananda should be high up on your list.